Mauritius has established itself as a leading jurisdiction for setting up and administering funds. It is widely recognised by both fund managers and investors and is commonly used for structuring international investments, particularly into Africa and Asia. Funds set up in Mauritius enjoy a low tax regime and have access to its extensive network of double tax treaties. The maximum income tax levied on a fund that is tax resident in Mauritius is 3% under the current Deemed Foreign Tax Credit regime. There is no capital gains tax in Mauritius and no withholding tax on dividends and interest in Mauritius. There are also no exchange controls in force and funds can be repatriated freely. As from 1 January 2019, the deemed foreign tax credit regime will be replaced by a partial exemption regime, applicable to both domestic companies and global business companies (GBCs). As a result 80% of the foreign-source income derived by a collective investment scheme (CIS), closed-end fund (CEF), CIS manager or CIS administrator will be exempted from income tax. This will maintain an effective tax rate of 3%. Mauritius has 44 tax treaties that are currently in force worldwide, while another seven – Gabon, Ghana, Jersey, Kenya, Morocco, Nigeria and Russia – have been signed and await ratification. A further four treaties have been negotiated and await signature, while 21 treaties are under currently under negotiation. Other factors that have contributed to Mauritius’s success as a funds location include the quality and flexibility of its legislation, the strength of its legal system and regulatory framework, its political stability, its infrastructure, a beneficial time zone (GMT+4) that allows trading on all global markets in a single day, its wide range of international banks and professional firms and, most importantly, the availability of qualified and skilled staff. It is also a very cost effective jurisdiction. 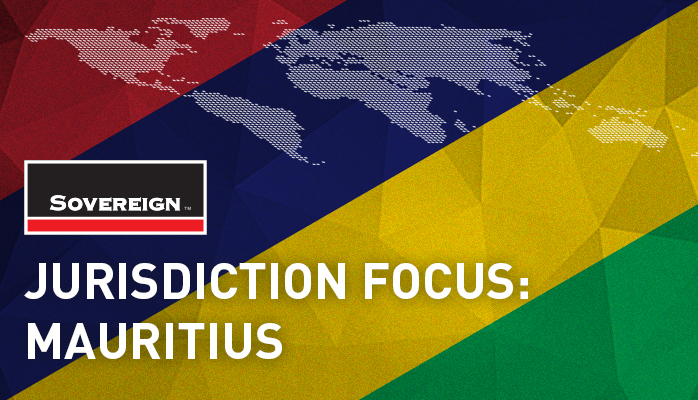 Mauritius is also well positioned as a risk-mitigation platform for investments into Africa. To date it has signed 23 Investment Promotion and Protection Agreements (IPPAs) with African states and is also a member of the World Bank’s Multilateral Investment Guarantee Agency (MIGA). This provides security and peace of mind for investors in respect of non-commercial risks. A Mauritius Investment Fund can be structured as a company, a protected cell company, a trust, a limited partnership, foundation or any other legal entity prescribed or approved by the Mauritius Financial Services Commission (FSC). Funds can either be open-ended – with a variable share capital – that fall under the CIS category, or CEFs with a fixed share capital, often commonly known as private equity funds. Expert Fund – A scheme that is only available to Expert Investors. An Expert Investor is an investor who makes an initial investment of no less then USD100,000. Most of the obligations and restrictions governing Global Funds do not apply to Expert Funds. Fully Regulated CIS are required to have a prospectus in the prescribed format that must set out details in respect of the minimum amount of subscription and at least 5% of the total amount must be raised within six months or risk being returned to the investors. Professional CIS, Specialised CIS and Expert Funds are only required to issue an offering document in order to be licensed by the FSC. A Protected Cell Company (PCC) consists of a core and of separate and distinct cells. The assets and liabilities of one cell are segregated and protected from those of the other cells. Similarly, the assets and liabilities of the core are segregated and protected from those of the cells. For investment funds, the attraction of a PCC is the avoidance of any cross-class contagion if a class or portfolio within an umbrella fund becomes insolvent and if the creditors attempt to enforce judgments against assets within other classes. The option of limited partnerships is significant to the funds industry in Mauritius because they are the vehicles of choice for fund structures in many foreign jurisdictions. Limited partnerships are more flexible than companies and may therefore be more attractive to investment vehicles such as hedge funds, private equity funds and joint ventures. Global Funds domiciled in Mauritius may also take advantage of the flexible listing rules of the Stock Exchange of Mauritius (SEM) to list on one of the leading platforms in Africa. SEM is also a member of a number of international bodies, including the World Federation of Exchanges, South Asian Federation of Exchanges, African Securities Exchanges Association and Committee of SADC Stock Exchanges. Such listings help to attract investors’ value, and demonstrate substance, notably to institutional investors and development finance institutions. The Stock Exchange of Mauritius (SEM) previously catered only for investment companies, unit trusts and open-ended funds. In 2010 the listing regulations were amended to include regulated global schemes, Professional CIS, Specialised CIS, Expert Funds and CEFs. An application for authorisation to establish a fund in Mauritius should be made through a management company that is licensed in Mauritius by the FSC and an authorised company should, at all times, have a registered agent in Mauritius that is a management company. Sovereign Mauritius (Trust) Company holds a Management Licence from the FSC and offers a comprehensive fund administration service, which includes: preparing and submitting applications for setting up a fund vehicle to the FSC and the Registrar of Companies; providing a registered office and company secretarial services; maintaining the books and accounts; providing net asset value (NAV) calculation and fund accounting services. As a cost-effective jurisdiction with a time zone between Europe and Asia, Sovereign Mauritius (Trust) Company is also well positioned to provide back office services to clients based in other jurisdictions where fund administration costs are higher.